Looking for a healthy Super Bowl recipe that still tastes amazing and pleases the crowd? Try out Crispy Kale chips! 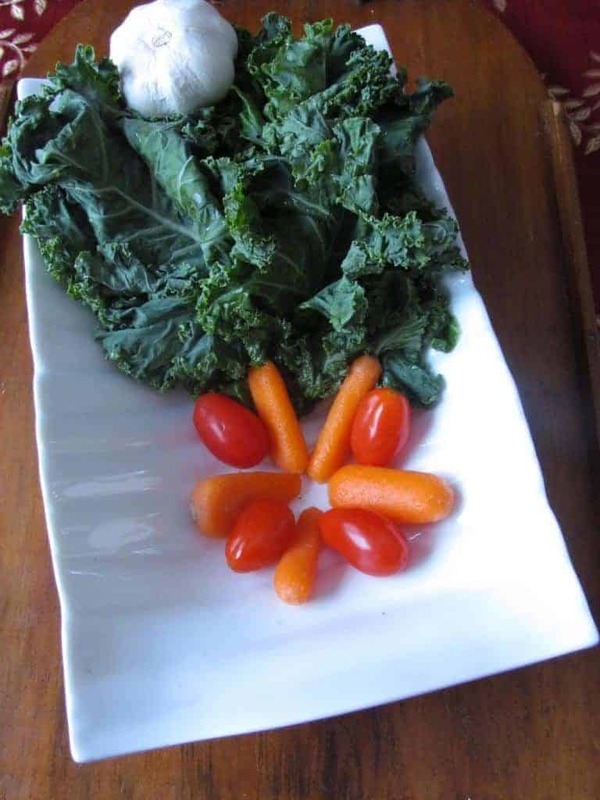 Kale chips make a delicious, healthier Super Bowl recipe! There is a lot of talk about how healthy kale is, but many people have never tasted it and don’t know about all the great health benefits. Kale is considered one of the healthiest vegetables with amazing health benefits. It protects against cancer, lowers cholesterol and reduces the risk of heart disease. It even helps protect against chronic illnesses. It contains vitamins A, C and K, all of which are antioxidants. If you are watching your weight, this is the perfect vegetable to add to your diet. One cup contains only 36 calories and has 5 grams of fiber. There are several ways to eat kale… raw in a salad, cooked in stir-fry, add it as a topping for your pizza or you can make smoothies with it. 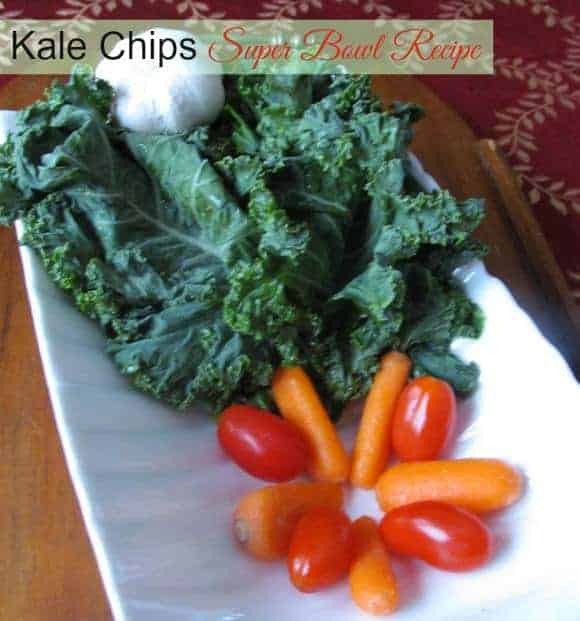 One great way to enjoy this vegetable in a healthy Super Bowl recipe is to make kale chips. This recipe from Gardening for Geeks is simply divine and you will love it. Use the kale chips in place of the nachos in our Nachos & Guacamole appetizer dip for an added zing, or better yet, dip it into our Super Bowl Avocado Hummus recipe. In a bowl combine the kale, apple cider vinegar and olive oil. Gently massage the mixture with your hands until the leaves are coated evenly. Sprinkle the mixture with yeast and salt, then toss. Place the kale leaves in a single layer on two baking sheets. Bake in batches for 15 – 17 minutes until crisp, rotating the trays halfway through. Note: If you use a different variety of kale, such as dinosaur, then you will need to cook it a bit less. Some people are nervous to try new vegetables, especially if they have only recently heard the name of them. Kale has been around a long, long time, but it has only recently been made popular. Making kale chips as a healthy Super Bowl recipe is a great way to try this leafy green out if you are nervous if you will like it or not. After all, everyone loves chips! If you have a lot of people coming to your party, try making our easy Roasted Radishes! Need a more traditional snack for the pickier eaters in your group? Our Southwest Snack Mix is easy to whip up in minutes and still won’t destroy the waist line of all your guests. Have your tried eating this vegetable yet? Do you have a favorite healthy Super Bowl recipe? Parents Who Enable Their Children: Will It Lead To A Problem In The Future? What a great healthy treat for the big day! I need to try this recipe out! Thank you so much for sharing! Kale chips are yummy! Thanks! I’ve yet to try kale chips, but I thinking I really should. Thanks for sharing at Simple Supper Tuesday. It’s first time and I like it! I want to try it in my smoothie and as a salad!